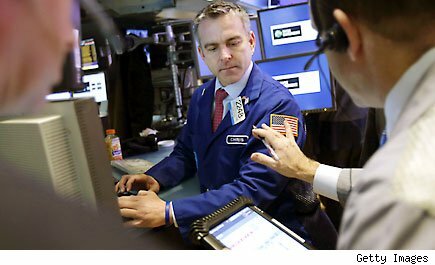 NEW YORK, Jan 29 (Reuters) - World stock markets were mostly higher on Tuesday and the dollar fell to a 14-month low against the euro as the Federal Reserve began a two-day policy meeting in which it is expected to maintain its easy monetary policy. A report that showed U.S. single-family home prices rose in November, building on a string of gains that point to a housing market that is on the mend, added to investor optimism on economic growth. Financial markets reacted accordingly even as investors were reluctant to make big bets, given mixed U.S. economic data, the run-up in stocks in recent weeks and risk in the form of a slew of economic reports for the rest of the week and the Fed meeting. Financial markets were initially weaker on a report showing U.S. consumer confidence dropped in January to its lowest in more than a year. But that same data kept alive expectations the Federal Reserve will maintain its ultra-easy monetary policy for the foreseeable future. "There is a serious split between the attitudes of consumers and the attitudes of the markets," said Joseph Trevisani, chief market strategist at WorldWideMarkets, in Woodcliff Lake, New Jersey, after the consumer confidence data. "This may make for a weaker dollar as it makes it less likely the Fed will contemplate an early removal of QE," referring to the central bank's debt-buying program. The euro extended gains versus the dollar, breaking above key resistance to hit a 14-month high. It last traded at $1.3483. The Dow Jones industrial average was up 69.32 points, or 0.50 percent, at 13,951.25. The Standard & Poor's 500 Index was up 6.80 points, or 0.45 percent, at 1,506.98. The Nasdaq Composite Index was down 1.84 points, or 0.06 percent, at 3,152.46. "A move like this in one month is extraordinary, and keeping the gains going will depend on concrete news like earnings and data that show the economy is getting better," said Peter Tuz, president of Chase Investment Counsel in Charlottesville, Virginia. "We haven't seen enough of that to make people jump in after the rally we've had." Recent gains in stocks have largely come on a strong start to the corporate earnings season, and that trend continued on Tuesday with positive results from both Ford Motor Co (F) and Pfizer Inc (PFE). European stocks scaled fresh two-year highs on Tuesday, boosted by miners, as optimism about economic recovery gained momentum following the encouraging U.S. home price data and comments on growth in top metals consumer China. The benchmark FTSEurofirst 300 index was up 0.4 percent. The index is up 24 percent from its June lows. Gains across Asian markets, led by a big rally in Australian shares, helped to lift MSCI's world equity index 0.6 percent to a 20-month high. Peter Sullivan, head of European Equity Strategy at HSBC in London, said the past 9 weeks have seen steady equity inflows from retail investors after four years dominated by outflows. He said these new equity flows were going primarily into emerging markets and Europe but did not yet represent a full switch from bonds to equities. "Bond flows remain positive, they are just at a reduced level," he said. Investors in Europe are looking to Spanish GDP data and Italian and German debt auctions on Wednesday, and the first big day of European earnings on Thursday to confirm the improving outlook for region. Official data on China's giant manufacturing and services sectors due on Friday will also be important, especially for commodities markets. In the U.S. Treasury debt market, benchmark 10-year yields proved unable to hold above the key 2 percent level touched on Monday, with investors looking ahead to a debt auction later in the day, as well as the Fed meeting. The benchmark 10-year U.S. Treasury note was down 7/32, the yield at 1.9901 percent. Debt prices had earlier reversed losses to advance in a volatile session after the consumer confidence data. "This is a reflection of the increase of the payroll tax with the tax holiday going away," said Craig Dismuke, chief economic strategist with Vining Sparks in Memphis, Tennessee. "This is a big concern. This could cut 0.5 percentage point off first-quarter GDP," he added. Investors now await the outcome of the Federal Reserve meeting on Wednesday. The Fed is not expected to change its stance after deciding only in December to loosen conditions further. However, investors are watching to see if changes in the membership of the policy-setting committee for 2013 could signal a shift in the future. Gold snapped a four-day losing streak to rise 0.4 percent to around $1,661.14 an ounce, but any hint that the Fed is considering an end to its loose monetary policy would probably send the precious metal down. The first estimate of U.S. fourth-quarter gross domestic product is also slated for release on Wednesday, followed by the widely watched non-farm payrolls report on Friday. Brent crude and U.S. oil prices rose on the U.S. housing data. Brent crude climbed 53 cents to $114.01 a barrel and U.S. crude rose 86 cents to $97.30 per barrel.